In the conditions of a delay in the Nagorno-Karabakh conflict settlement, the intensification of contacts between Azerbaijani and Armenian representatives at the most diverse levels, including the negotiation process between the heads of the foreign ministry, is particularly valuable. 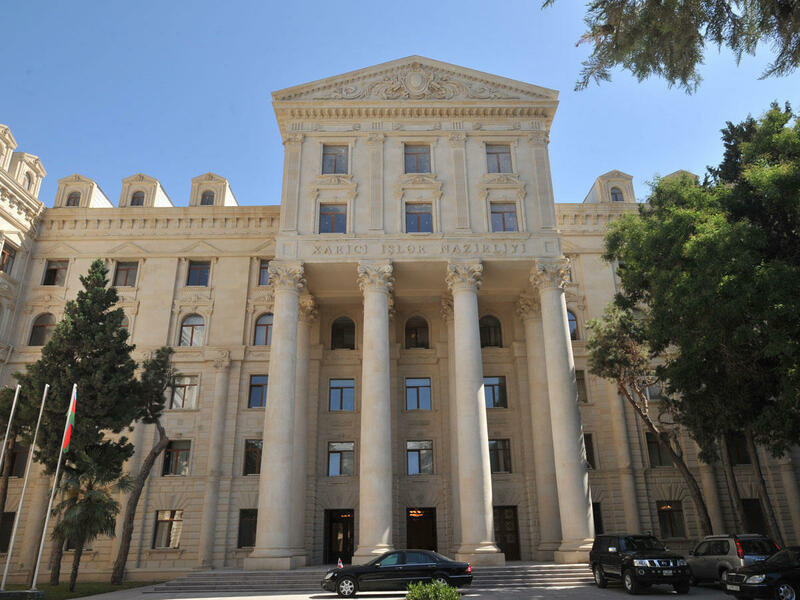 The next meeting of the Foreign Ministers of Azerbaijan and Armenia will be held in the capital of one of the countries co-chairing the OSCE Minsk Group, said Leyla Abdullayeva, press secretary of the Azerbaijani Foreign Ministry. She noted that negotiations are currently underway related to the date of the meeting. She recalled that a joint statement adopted at a meeting of the heads of Azerbaijan and Armenia in Vienna on March 29, noted that the parties agreed to meet in the near future in the level of foreign ministers. "In this regard, Azerbaijani Foreign Minister Elmar Mammadyarov, during his visit to Brussels, made a statement that an agreement was reached on the upcoming ministerial meeting and such a meeting will be held in the near future in the capital of one of the co-chair countries. As for the specific time of the meeting, it will be announced after reaching an agreement between Baku and Yerevan," said Abdullayeva. Earlier, the Azerbaijani Foreign Minister Elmar Mammadyarov, participating in the meeting of the Council of Ministers of Foreign Affairs of the CIS, held a bilateral meeting with the Russian Foreign Minister Sergey Lavrov in Moscow on April 5. The parties expressed satisfaction with the high level of political dialogue and multifaceted cooperation between Azerbaijan and Russia. The upcoming meeting of the foreign ministers of Azerbaijan and Armenia in the negotiation process framework on the peaceful settlement of the Nagorno-Karabakh conflict, which will be held in Moscow, with the participation of Russian Foreign Minister Sergei Lavrov, pursues a serious goal, said well-known Azerbaijani political scientist Arzu Nagiyev. The expert noted that it is within this meeting that the parties will have to hold a detailed discussion of issues relating to the situation on the contact line of troops, as well as humanitarian issues. Nagiyev recalled that during the Vienna meeting, the Armenian side again tried to talk about changing the negotiation format, and the Armenian Prime Minister Pashinyan raised this issue later in Yerevan. Political scientist believes that the OSCE Minsk Group co-chairs’ recent statements regarding the unchanged format of the negotiation process, as well as statements of similar content of high-ranking EU officials, are a serious message to the Armenian side. "In turn, the position of Azerbaijan remains unchanged, we unilaterally declare that the Nagorno-Karabakh conflict settlement is possible subject to the restoration of territorial integrity and the inviolability of the Azerbaijani borders. The Azerbaijani leader repeatedly voiced this sound and fair position. At the same time, we propose to resolve this issue through substantive negotiations, that is, in stages," said Nagiyev. As for the presence of Russia at the upcoming meeting of the Azerbaijani and Armenian foreign ministers, the political scientist called it a positive fact, noting that the participation of the Russian foreign minister is necessary. At the same time, the expert recalled that the UN Security Council resolutions constitute the legal basis for resolving the conflict, and unequivocally confirm the sovereignty, territorial integrity and inviolability of Azerbaijani international borders, and also require the immediate, complete and unconditional withdrawal of Armenian occupying forces from Azerbaijani territories.